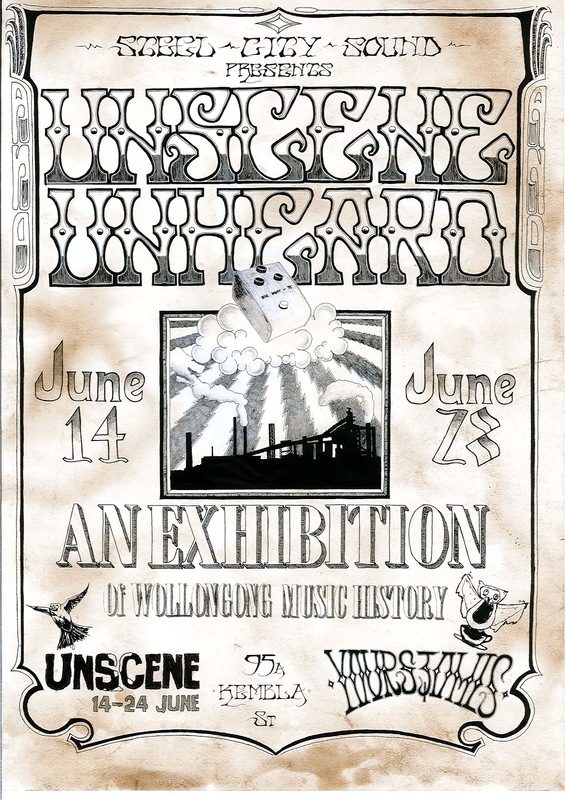 UnScene is a two week collaboration and celebration of creativity and the arts in the Illawarra – past, present and future! Helter Smelter and Steel City Sound have joined forces to shine a spotlight on the diversity of the various communities that continue to survive and thrive in this steel town of ours, and give you a glimpse of the often un-seen, un-heard Wollongong that you find when you scratch the surface and look into the heart underneath the city. 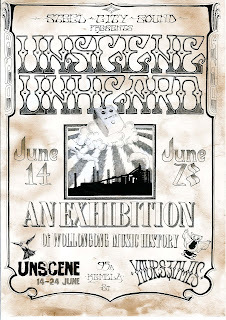 10 days, 8 venues, 10 events (8 being all ages) that will showcase a mass of local underground talent both past and present in music, photography, art, film, writing and much, much more. Make the jump to view the full program. Photographs of local bands by local photographers. Live band performance and projections from Carolyn Nowaczyk and Nina Kourea. Showcase of local band film clips from the past & present. Popcorn provided, BYO drinks, beanbags and blankets. - Screen of 90s film STEEL TOWN SOUNDS and the THE OCCY: A DOCO. Popcorn provided. BYO drinks, beanbags and blankets. Helter Smelter presents a concert featuring bands and performers from the latest HS winter compilation album.